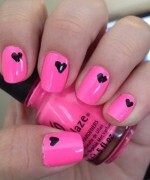 With the passage of time as the fashion market is changing there are many new trends that are coming ahead in the shape of heart nail art designs 2014 for women. 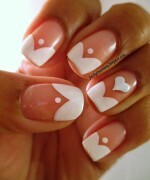 It is becoming one of the most popular and latest trends of nail art designs for the women. 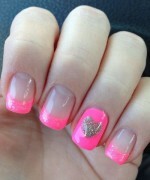 It allows the women to highlight their nails with the feel of being trendy and attractive looking in appearance. 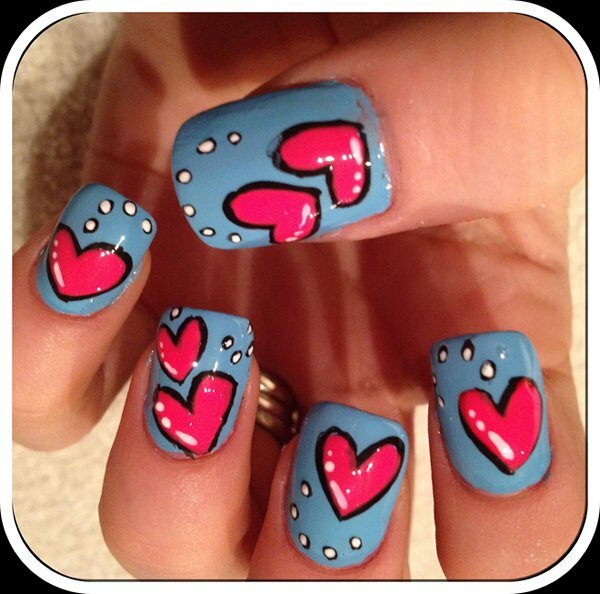 For some of the women applying heart nail art designs is quite a lot complicated but once you get into its practice then it will no longer going to be impossible task for you. 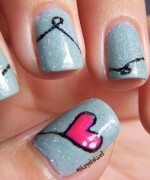 In the very beginning you have to clean the nails so that it an give the nails with the finishing look. 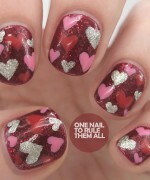 Trim the nails and give them with the perfect look. 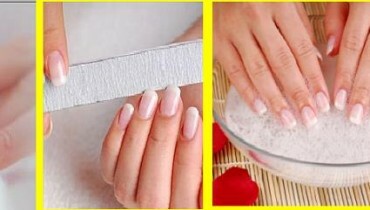 Now apply moisturizer over the nails as it will going to help you in pushing away the cuticles of your nails in support of the base coat so that it can be painted evenly. 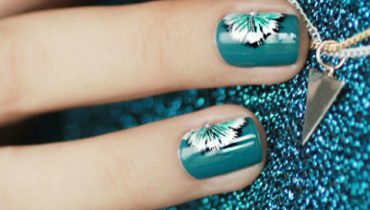 Then you have to take the neutral or light color of nail enamel and then use line it up on all of your nails as a base coat. 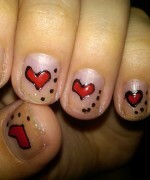 You have to make sure one thing that you cover up all the edges of the nails in neat way. Make sure that you don’t left with any more space. 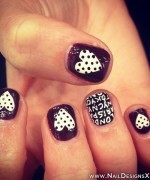 If you find it incomplete then you can even apply with the second coating too. 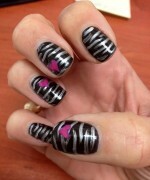 Now you have to take the transparent paper tape. 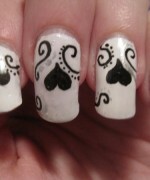 Cut out a square from it and then fold it in half leaving the edges separate. 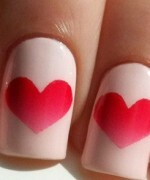 Now you have to start creating the heart shape lovely looking designs over the nails. 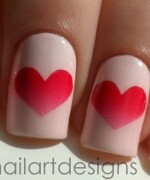 We are sure that you will going to fall your heart out in trying with heart nail art designs 2014. 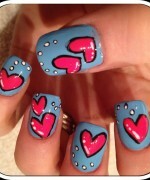 For the readers let’s have a look at some of the beautiful images of heart nail art designs 2014 for women.